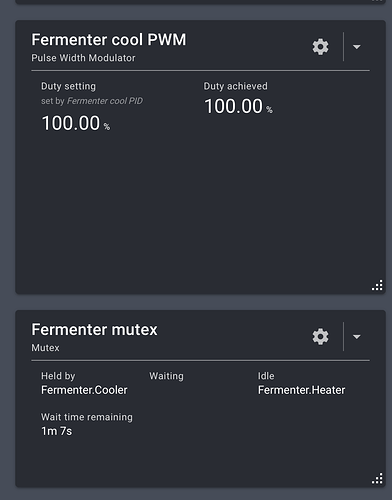 Quick question on the Mutex block in brewblox. When does the exclusive timer start? 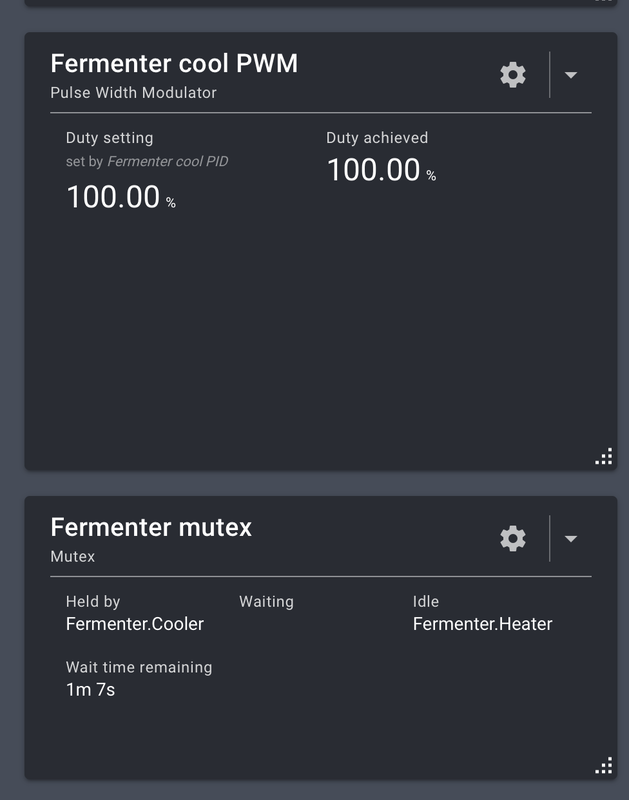 If the idle time is set to 30m and the cooler cycle is active, does the heating not be allowed to start until 30mins after the cooling cycle finished or started? The minimum time is applied when switching actuators only, so after cooling the cooler is allowed to go active again, but the heater has to wait 30 minutes after the cooler shuts off. Thanks for the reply @Elco, that is what I though as that is what happens when the heater is on but when cooling the timer just decreases from 30m once the cooler starts. 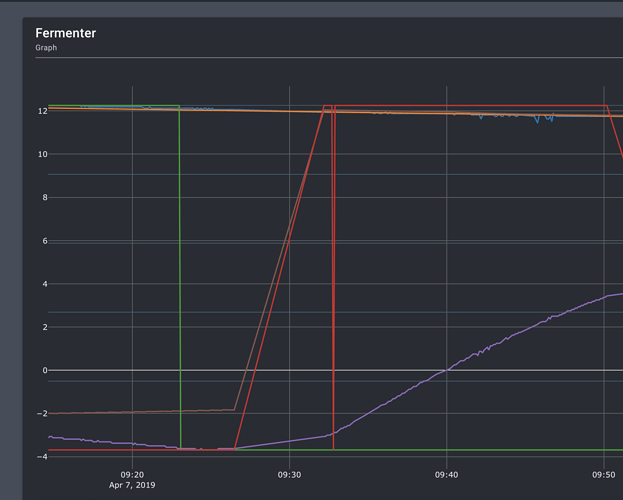 As you can see from the Graph the heat cut in before 30m from the end of the cooler cycle. The legend is missing on your chart. The charts have an export as PNG button. Just to check, both pins have a mutex constraint? What I also see is that your fridge setpoint suddenly changed. Any chance the Spark rebooted? It shows the uptime on the Spark widget. yes both pins are set to have this as their Mutex. The Fridge set point was myself changing it although yes the spark has been rebooted as well. I have just recreated the Mutex and applied this to both pins to see if this makes any difference.